Using a Magliner Gemini Folding Hand Truck gives you higher capacities which equal higher gains. Based on industry norms using the Gemini in place of a standard hand truck will allow the driver to make 1 trip instead of 5! It will also save the average delivery person 8 minutes per stop and a total of 8 hours a week as well as lower driver fatigue by reducing muscle strain. 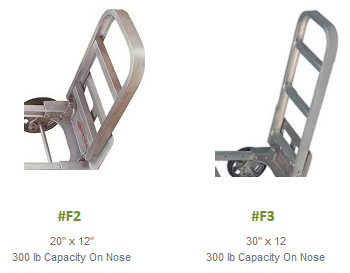 Converts in seconds from a 2 to 4 wheel hand truck. Strong lightweight construction and a modular design which means that there are no weld points to break and all parts are replaceable. Available in junior and senior sizes with 9 choices of wheels. Optional Platform available as well, see detailed pictures for images of solid deck plaform. Comes unassembled in order to save you money. Click here for the Gemini Senior Convertible Folding Hand Truck. Please Note: The folding nose, and deck are not compatible. 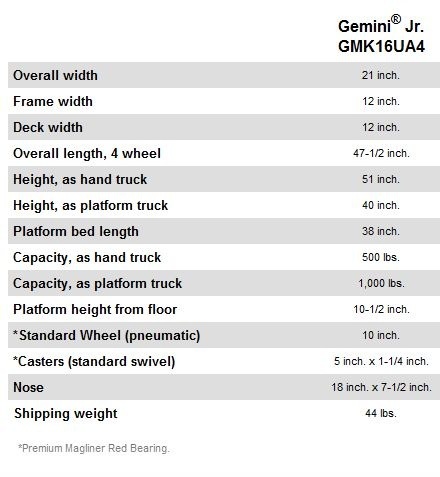 The magliner Gemini junior is a great product! I use it for work almost daily. Quick to change from 2 wheeler to cart. Easy assembly. Easy to convert from truck to cart. Nice size moving tools around. great product,best in the business and well worth the price. Great hand truck. Glad I upgraded to casters with brakes. 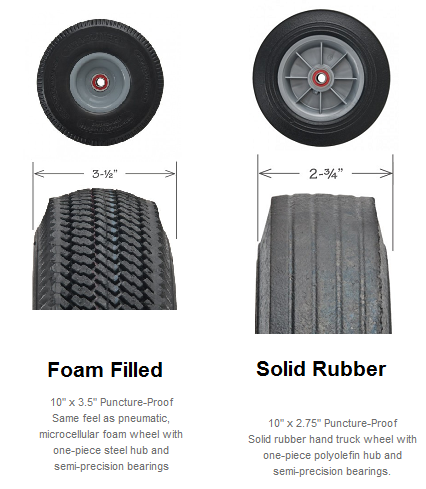 Easily converts between 2 and 4 wheel use. Brakes on casters are helpful. 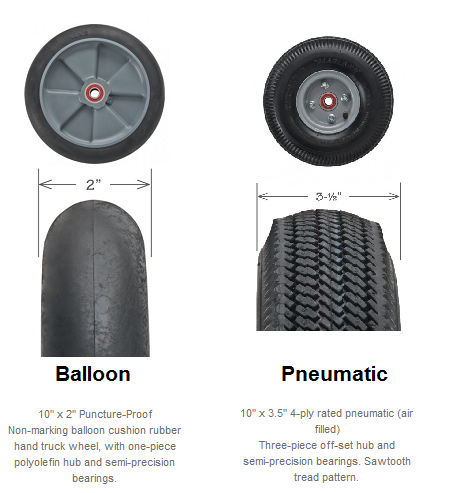 Disadvantages: Tires are smelly (had the same experience with a garden wagon that had 4 pneumatic tires). It will stay on the patio until the odor subsides. I have gone through a couple of lesser known trucks. My crew demanded Magliner and I found the best price (sub $300) on Magliner Gemini Junior. No taxes and very quick free shipping. Good experience! So far so good. I will use Junior this coming week, but so far I enjoy it. It was a little confusing with the instructions, but once I got going nothing was going to stop me. People were not kidding when they said it is heavy, but you get what you pay for..quality that lasts. Thanks handtrucks2go!! I love the Magliner products. I can always depend on Handtrucks2go to get them here timely and efficiently. 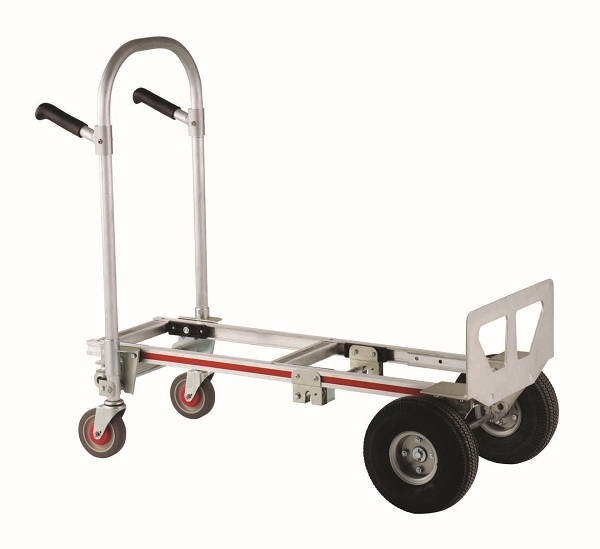 The Magliner Gemini Jr convertible hand truck is great - really sturdy and versatile. I look forward to using it for years to come. Handtrucks2Go got it here quickly and for a good price. The handtruck is perfect for my needs (and I found it very easy to assemble) and handtrucks2go had a great price and fast shipping. Highly recommended! I searched the Web long and hard and found HT2Go the best price and the Hand truck was delivered within a week of ordering. I purchased it un-assembled and the instructions were adequate for anyone with a modicum of common sense the Truck is very sturdy and easy to use in either conversion. 5 stars. So happy with it. I always use these at work, and when it came time to get one for my own jobs, I knew which one I had to buy. Other people suggested carts that I should get for lower cost, but they never offer the same quick conversion to platform or hand truck, or they aren't as sturdy. I'm very happy knowing that this thing will last forever. I'm a super happy customer.